Dominique Mallard spent five years in the Colorado foster care system and by the time she left, she’d been through 22 foster homes. She’s been separated from her brother for 10 years. But when an adult ally encouraged her to join an emerging youth organizing group known as Project Foster Power (PFP), an initiative of the Rocky Mountain Children’s Law Center, her trajectory changed. She didn’t know what to expect, but she was immediately drawn to the encouraging, welcoming community, and all the plans underway. As Mallard describes it, organizing helped her go from “feeling powerless to a force to be reckoned with.” Soon she became a lead organizer, joining with a core group of peers in a similar role, along with a growing membership of current and former foster youth across the region, to build a powerful grassroots movement across Colorado. Though she might not see her brother again, Mallard gets comfort knowing she is helping to prevent other kids from experiencing the pain she felt. Research shows that the system is not working to promote the well-being of children and youth who have been removed from their families and placed in foster care. Unfortunately, involvement in foster care has profoundly opposite impacts. In fact, the foster care system pushes young people towards homelessness, unemployment, and incarceration. Foster youth, disproportionately young people of color, are aging out of care in their late teens and early twenties unprepared, unsupported, and disconnected. Like their peers outside this system, young people in foster care have hope, want a good education, and dream of a fulfilling and meaningful life. Having direct experience in foster care, they have a deep understanding of what works, what doesn’t, and what needs to change. 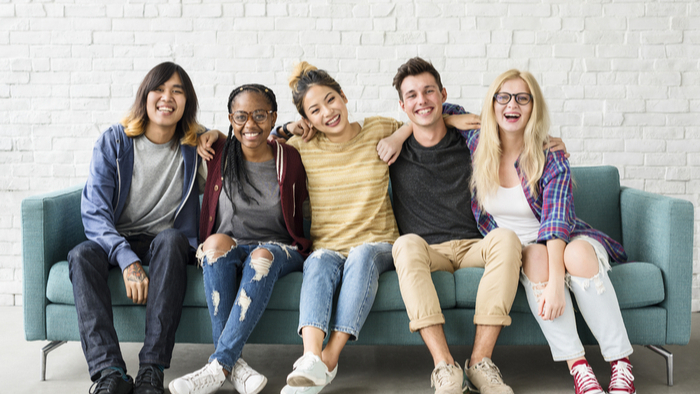 The idea of “foster youth engagement” emerged as a way for young people to improve the system, but common engagement strategies don’t go nearly far enough. In most cases, “engagement” is made up of small groups of hand-picked young people telling their stories and offering “advice.” This approach tokenizes the few and distorts the priorities of the many. We need to greatly expand opportunities for youth engagement in ways that make space for all youth to participate, bring young people together, raise up issues from the grassroots, and help young people build power to achieve transformational changes they need to thrive. Youth organizing is a powerful and effective approach that addresses so many of the limitations of previous foster youth engagement efforts. As a specific strategy for youth engagement, youth organizing builds on the legacy of collective action led by young people and is lifted up through the research and support of national organizations and funders. Youth organizing has a long-term vision of building powerful intergenerational or youth-led organizations. It forever seeks to bring in new young members and build a base of support. It identifies issues by listening to its constituents and views itself as part of a broader social movement. An essential part of its approach to youth engagement is youth development, healing, community building, and action that is directly informed by young people most impacted by systems. Part of PFP’s success has been the way it reaches across the Denver region, deeply listening to young people, and learning from them. This base-building work, where you reach out to kids, makes them feel safe, and pulls them into the group. It’s also what Mallard is most proud of. Foster Youth in Action (FYA) worked closely with Mallard, her fellow organizers, and supportive adults to help PFP get started, build up, and grow their power. As a network of 23 foster youth led groups in 19 states, Foster Youth in Action supports foster youth leaders across the U.S. to make sure that their ideas for change are recognized, respected and put into place. FYA continues to ask how can we reimagine new possibilities for young people who have experienced this system. We strive to create a community that does not criminalize young people and their families, offers networks of support that all communities need, and ensures that young people have everything they need and want to thrive and live out the life they want to create. As change agents and community organizers we often come back to the same place – if we are going to create real and lasting change, we need different tools to get there. Learn: Deepen your knowledge about issues facing older foster youth by tapping into curated resources at Fosterport.org. Connect: Grassroots groups need adult mentors and volunteers. Take a look at FYA’s Partner page to learn about groups that are in your state or community. Take Action: Provide the resources to support organizations working to build community. Original contribution by Matt Rosen, Executive Director of Foster Youth In Action. Interested in learning more about Poverty? Other readers at Giving Compass found the following articles helpful for impact giving related to Poverty. Giving Compass' Take: • Tom McIntire asks donors to examine their beliefs about who should receive help - homeless families? children? woman? - and how they can better address root causes rather than support suffering individuals. • How does this advice align, or not, with your existing philanthropic strategies? • Learn about upstream solutions. A question I frequently ask others is: what is your baseline? Is it acceptable for any of your neighbors to be hungry or living rough on the streets? In talking about what should be the minimum level of help, we inevitably get to the idea of who should receive assistance. Children, women, families and veterans are among the first to be deemed worthy. We should ask ourselves how can we choose who eats, who has shelter, who lives and who dies, or is there a better way to ensure that everyone has the basics to live, along with the skills and opportunities needed to thrive? We have at least 12,000 people experiencing homelessness in King County on any given night. What was different about my family’s situation that kept us housed, clothed and fed during our time of need? My family’s and neighbors’ view of community was the houses nearby, the people they knew, the kids who go to school with their kids. Homeowners helping homeowners. People focusing their charitable energy on people like them. How do we build a commitment to the well-being of all of our neighbors (not just the people like us) into our government systems, our nonprofit and faith organizations, and the personal interactions we have each day? Compassion is easy for someone you see as vulnerable and in some way like you. A challenge is to build empathy for those who are not like you, who may not conform to your standards or in some way appear to have made bad choices. Every one of us will need help at some point, but our race, gender, sexual orientation, age, marital status, physical/mental health condition and national origin will all be factors that influence the availability, quality and effectiveness of solutions. Philanthropy plays a role in solving these problems but individual donor preferences have brought extraordinarily large donations to benefit specific homeless populations. This generosity is inspiring but focuses in on a symptom—families experiencing homelessness, for example—rather than addressing the root causes of racism and generational poverty built into our current economic system. Achieving racial and economic equity in basic needs would mean no racial or other disparities among those who receive aid, and that their demographics match the overall population. Read the full article about who deserves help by Tom McIntire at Seattle Foundation. If you are looking for opportunities to learn and connect with others interested in the topic of Poverty, take a look at these events, galas, conferences and volunteering opportunities aggregated by Giving Compass. If you are interested in Poverty, please see these relevant Issue Funds, Charitable Organizations or Projects where you can get involved.